Mexico has been going through a strong political crisis ever since the disappearance of the 43 students in Ayotzinapa a year ago. The army, especially Battalion 27, was directly involved in the detention and forced disappearance of Ayotzinapa students. A few days after a visit from the Inter-American Commission on Human Rights (IACHR) and the presentation of its expert report, the Attorney General’s “historical” version is being highly scrutinized again. In the midst of this, the government attempts to divert attention from their own involvement by proposing a law dealing with Forced Disappearances. The Mexican political regime tried to silence the rage and discontent by imposing a narrative, a so-called “historical truth”, in which the students of Ayotzinapa were incinerated in the dustbin of Cocula with help from the drug gang “Guerreros Unidos”. Several voices have demonstrated the impossibility of this “historical truth”. From Jorge Montemayor (UNAM) who demonstrated that it is chemically impossible for 43 bodies to be cremated in a dumpster, to investigations in the magazine, Proceso who, in collaboration with the University of Berkeley and Anabel Hernández’s research, exposed audio between local police and the army, proving that they were involved in the slaughter of Iguala and the disappearance of the 43. Ayotzinapa students` relatives have alleged that the students had been harassed and threatened by members of Battalion 27. This group is also infamous for its participation in the dirty war and the disappearance of hundreds of social movement activists. 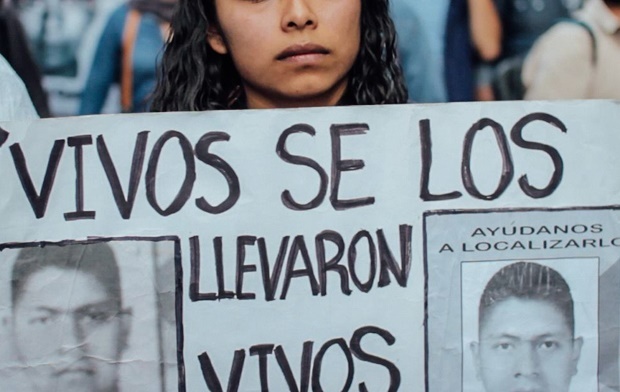 Recently, the government tried to stop the huge political crisis opened one year ago by claiming that the remains of Yoshivani Guerrero De la Cruz along with Alexander Mora were identified by researchers at Innsbruck. However, relatives of the 43 do not believe the government and demand an army investigation. The Commission (IACHR) also showed in their final research report that there are more irregularities in Attorney General`s version- for example, the students’ clothes was delivered to family members by the government. If the 43 students were incinerated by a drug gang, why does the government have their clothes and how did they get them? There is evidence of army involvement and there are demands to keep investigating. The anniversary of the slaughter in Iguala showed that there is still huge discontent and indignation after the disappearance of the 43. Tens of thousands of young people, women, workers and poor people took to the streets this September 26, 2015 to show that they haven’t forgotten and that they know the government is responsible. 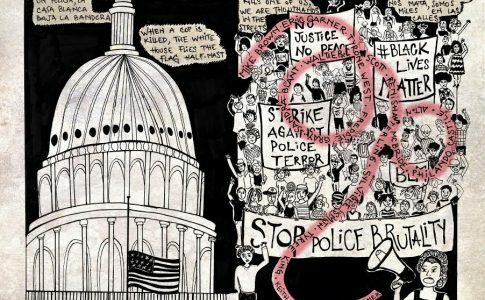 Ayotzinapa is a symbol for state violence against workers, youth and poor people nationwide. The political system has provided two answers. First, a flat out refusal to investigate the soldiers involved in the slaughter of Iguala. What’s more, the Secretary of National Defense, said that “due to the social circumstances in the country, reporting where the 27 Infantry Battalion were or were not sent endangers their lives because the events in Iguala, Guerrero, linked with the disappearance of 43 normalistas have many eyes watching it. 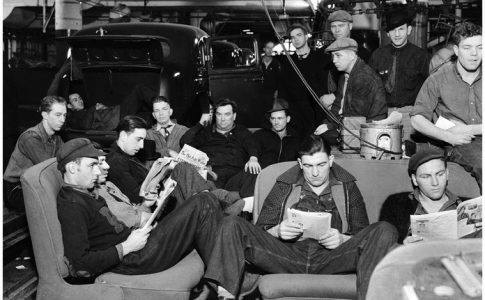 ” Any data on what the members of Battalion 27 did will be kept from the public for 12 years. This is a resounding NO to requests from relatives and the IACHR. 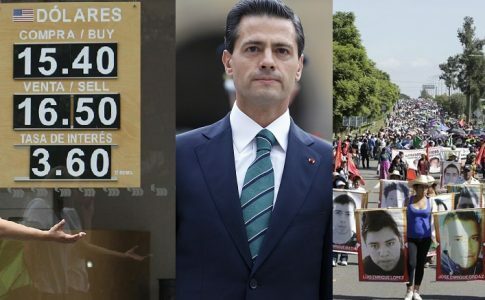 On the other hand, on Sunday October 4th, Peña Nieto introduced a proposal for a Forced Disappearance Law in Mexico that aims to present to the public and the international media that there is a problem with forced disappearances in the country that the government is attempting to combat. The Mexican government even had the nerve to make September 26 (anniversary of Iguala´s slaughter) The National Day of Forced Disappearance- with the government not taking responsibility for those missing in Ayotzinapa, or allof those the government has disappeared around the country. Mexico has installed an openly reactionary phenomena: more than 25,000 missing, mass graves, massacres by the army (Tlatlaya, Apatzingan, Tanhuato, Ostula, Iguala), more than 160 thousand people dead.There are even hints of social cleansing and forced displacement. As we have sustained in another Left Voice article “The economic, political and security subordination of Mexico to the United States has been intensified, enabling the current state breakdown and deepening the monstrous expression of social phenomena such as the forced disappearance of 43 students”. Therefore, justice in the case of the missing students will not come from the murderous regime directly responsible for the disappearance of 43. The new law on forced disappearance is shameless in the face of the events in the past year. How can a regime responsible for brutally mutilating the face of Ayotzinapa student, Julio Cesar Mondragón, provide justice? How can justice come from Peña Nieto’s government when the army is involved in the slaughter of Iguala? Justice for the majority of Mexican people and punishment for those responsible for disappearances, murder and femicide, will only occur when the people overthrow this rotten and irreformable regime. In Mexico, it is urgent to promote wider street mobilization, led by the working class, implementing their methods of battle, such as the general strike, to shut down every austerity measure. We must fight for a workers and peasants government that meets all the demands of the workers, poor people and indigenous people- we need a second Mexican revolution- this time a working class revolution.